The Russian word of the day is очередь (óchered’) – queue. 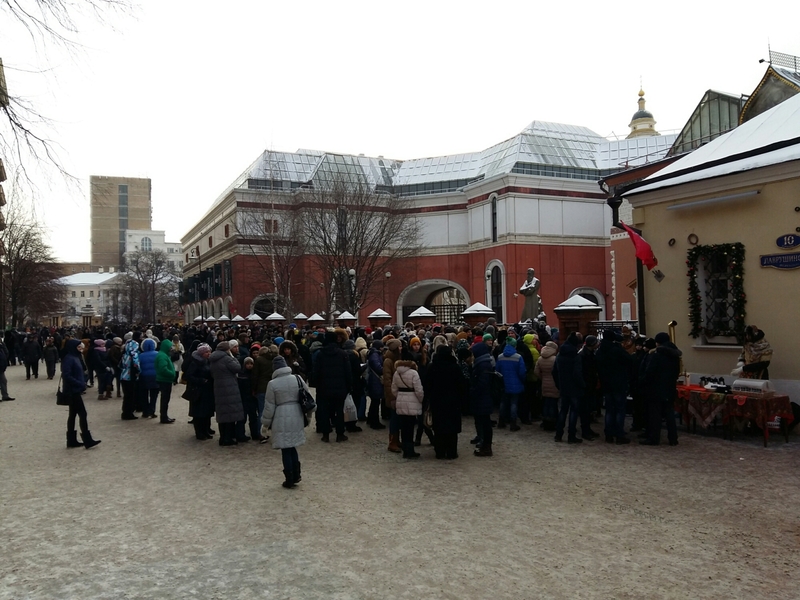 This is the queue in front of the Tretyakov Gallery. The end and the beginning of this queue can’t be seen in this photo. It’s -16 °C and it takes at least 90 minutes to get inside the Gallery. It would be interesting to know what they are queueing to see.